LEGO IDEAS invites you to submit new, original, and creative ideas in the form of a “Product Idea” that others vote on and we consider as potential new brick-based LEGO playsets. We want you to have a good experience here. There are a few things you should know before you begin. It takes a lot of time and energy to build, submit, and promote a good product idea. You owe it to yourself to first make sure your awesome idea is something we would produce as a LEGO IDEAS set. This page is intended to be a plain-language version of the most important parts of our Terms of Service. As a member, you agree to follow these guidelines and the Terms of Service when creating ideas and participating on our website. These Guidelines apply to Product Ideas. For specific rules, prizes, and rewards for entries to Contests, see the respective contest page. What is a Product Idea? A Product Idea is your proposal for a new LEGO Ideas set. 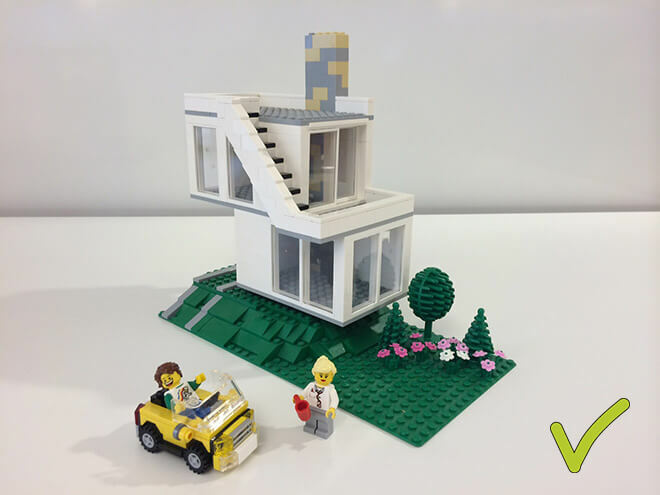 A product idea includes photos or 3D renderings of your own original LEGO brick model along with a written description that becomes your proposal for a potential LEGO product. Product Ideas must feature an assembled model, we do not accept submissions with only loose LEGO pieces, such as parts or accessory packs. A Product Idea = One LEGO set. LEGO Ideas accepts product ideas that propose single, stand-alone LEGO products (sets). We don’t accept ideas that propose a series of products or a playtheme. For example, you may submit a fire truck design but not a “Fire Department Series” suggesting several products. Please don’t submit ideas with description suggesting the first product in a proposed series, or anything that implies your idea intends to be more than a single, stand-alone set. Not too big—it must fit in a single box! Please keep your product ideas to a maximum of 3,000 pieces. Big models are awesome, but we have to set limits to the size of LEGO Ideas submissions. While we can’t count the pieces in your photos, if your model looks too big we’ll send it back and ask you to make it smaller at our own discretion. Focus on a single concept or license. Don’t attempt to pack an entire playtheme of models into a single product idea. We don’t accept “mass customization” ideas such as custom mosaic or minifigure makers. Only reference one third-party property per product idea. For example, we wouldn’t accept an idea containing both Porsche and Ferrari vehicles. 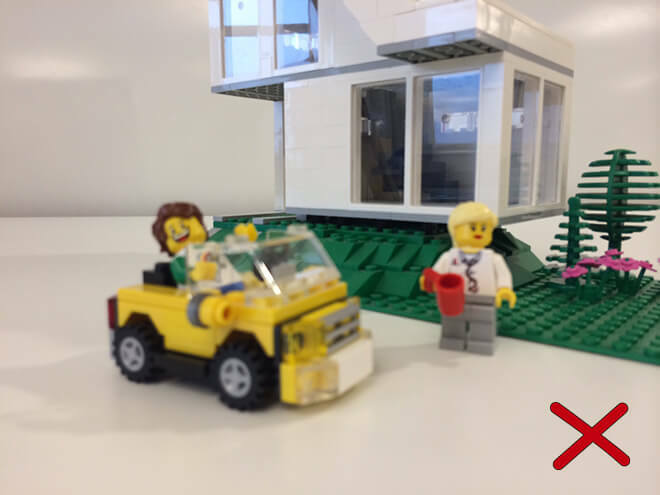 Don’t base your idea on a licensed property we currently sell, or a property that entered our portfolio through a previous LEGO Ideas set. We know you love our licensed product lines. A licensed product is a LEGO product that is based on recognizable features of another company’s products or ideas. For example, LEGO Star Wars and LEGO Minecraft are licensed products. Since we actively develop new products based on our licenses, we’ve found that we can’t accept your submissions for these lines through LEGO Ideas. Currently active or announced licenses such as Star Wars™, MARVEL Super Heroes™, The LEGO Batman Movie, Ferrari, Mercedes-Benz, and others. For a list of active licenses, please refer to this article in the LEGO Ideas Knowledge Base. 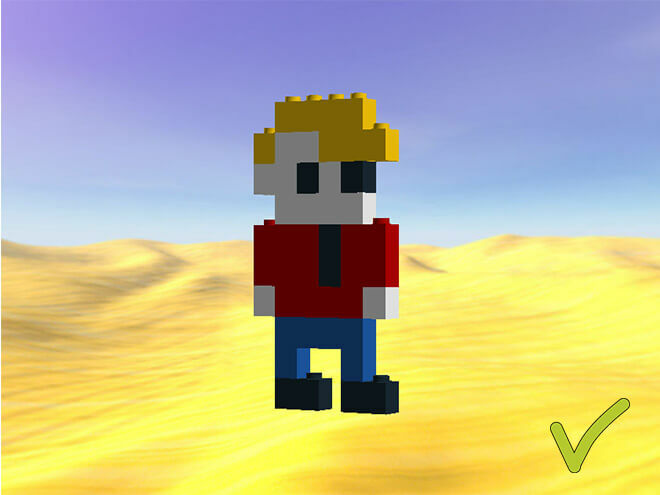 Any third-party license that entered our portfolio through LEGO Ideas such as Minecraft, Doctor Who, Adventure Time, the Apollo program, and others. If a licensed property no longer appears on our list, and it didn’t enter the LEGO portfolio via LEGO Ideas, you’re welcome to submit product ideas based on it then. Whenever we release a new license, or re-release a set from a past licensed property, we’ll archive any related product ideas to follow this guideline. For ideas related to NASA, we consider the property to be the specific program or mission. For example, we will no longer consider product ideas related to the Mars Science Laboratory Curiosity Rover, or the Apollo program as potential LEGO Ideas sets. Editor’s Note: This Guideline was added April 05, 2017 and affects ideas submitted after this date. Existing ideas based on current LEGO licenses have a smaller chance of passing the LEGO Review than others and may have increased risk of overlapping a product currently in development. If the LEGO Group releases follow-up products based on the same original concept or licensed property, we produce them ourselves. If we produce your product idea, it is possible the LEGO Group could consider your set as a starting point for a new playtheme, or release additional sets based on the same license. Any follow-up products based on the same concept or licensed property will be developed internally at the LEGO Group and independent from LEGO Ideas. We do not credit or compensate LEGO Ideas members for follow-up products. Read more in Prizes and Rewards. There is a possibility your product idea and our own new product development will unintentionally overlap. Great minds think alike! If you get an idea for a new LEGO set, it’s possible our team of designers has had a similar idea on their own. If the LEGO Group introduces a product similar to an idea submitted on LEGO Ideas, you understand and acknowledge that any coincidence is unintentional and release the LEGO Group against any claims of infringement. Your product idea has 60 days from the day you post it to reach at least 100 supporters. 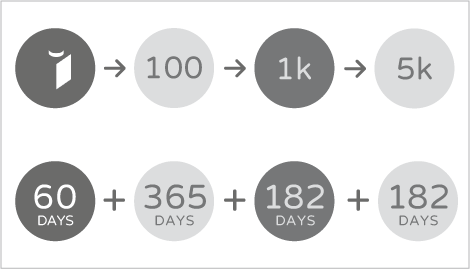 All product ideas must reach 100 supporters within 60 days of being posted or they will automatically expire and no longer accept new supporters. If this happens, you’re welcome to re-submit the idea and work to gain 100 fresh supporters again. Reaching 100 supporters gives you another year to reach 1,000 supporters. Gaining 100 supporters qualifies your product idea for an additional year (365 days) to reach 1,000 supporters. Reaching 1,000 supporters gives you 6 additional months to reach 5,000 supporters. Gaining 1,000 supporters qualifies your idea for an additional six months (182 days) to reach 5,000 supporters. Reaching 5,000 supporters gives you another 6 months to reach 10,000 supporters. Gaining 5,000 supporters qualifies your idea for a second extension of 6 months (182 days) to reach 10,000 supporters. Product ideas which fail to meet any of these deadlines within their days remaining will automatically expire. You will be welcome to resubmit your idea, however you will lose any supporters you had previously. Product ideas that receive 10,000 supporters are evaluated in a “LEGO Review” that happens three times each year. Members can “support” (vote for) their favorite ideas. Once an idea reaches 10,000 supporters, the LEGO Review Board reviews it and considers it for production using a process similar to the one used for our own LEGO products. The LEGO Review Board then chooses which product ideas become LEGO Ideas products. It’s our job to determine whether your idea meets our high standards for what it takes to be a LEGO product. 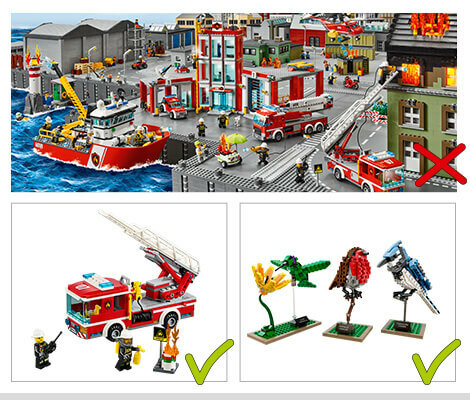 Our evaluation looks at factors including playability, safety, and fit with the LEGO brand. We also look into and secure any necessary license agreements. The degree to which these factors contribute to our decision can vary from idea to idea, at our sole discretion. The LEGO Review operates on a rolling deadline of early January, May, and September. We evaluate all product ideas that qualify for one of the three annual LEGO Reviews in a batch. Each idea is evaluated on its own merits independently of others in the same review period. Product Ideas in each review period are considered in batches, so we announce the results for each idea in a review period simultaneously. 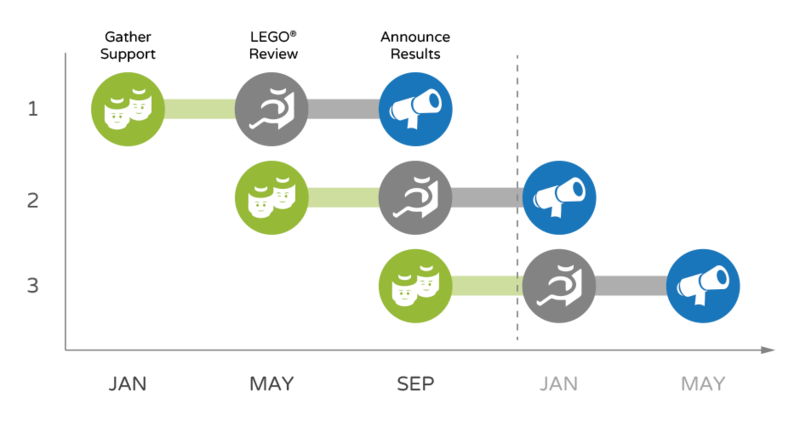 Timeframes for each review can vary, and we share the news for each review once the process is complete. See ideas currently in review on the Discover page. Once a product idea is chosen to become a set, professional LEGO designers take over from there. Once picked, a product idea enters the Production phase. LEGO set designers take the original submission and refine it into a LEGO product that’s ready for release. Our team designs the final LEGO model, the product materials (building instructions, set box, and marketing assets), and gets everything ready to be produced in our factory. The LEGO Group makes all final decisions on how a Product Idea becomes a LEGO set, including the final model design, applicable licenses, production run size, sales channels, etc. Then it’s produced in our factories and shipped around the world so LEGO fans like you can buy it! Once announced, it normally takes about six months for us to design the final set and box, create building instructions, produce it in the factory, ship the sets to distribution centers around the world, and have them available on the shelves to buy, however we cannot guarantee product launch timeframes. You must be at least 13 years old to have a LEGO Ideas account. 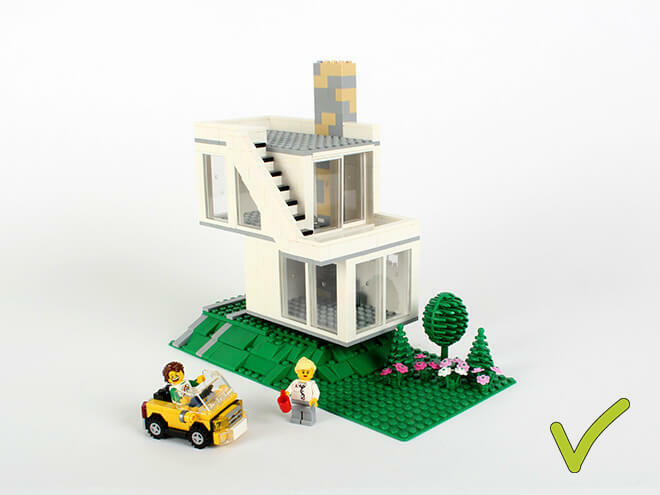 LEGO Ideas is designed specifically for our older builders. This is both to promote a quality experience for our community of teen and adult members and to comply with our child safety policies. 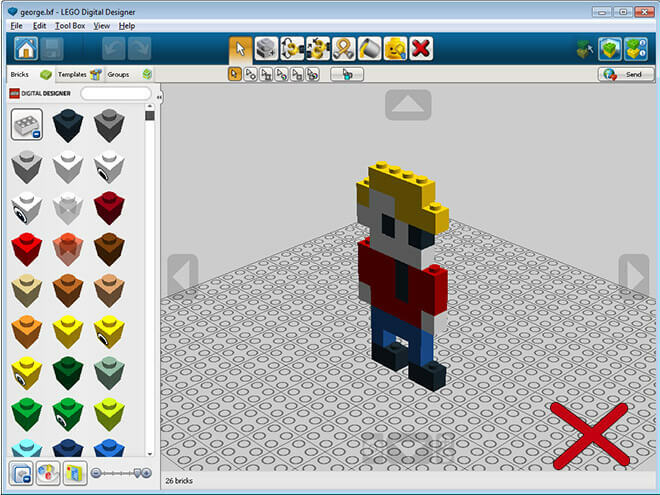 Members must be 13 years old or older to interact on LEGO Ideas. If you are between 13 and 18 years old you can create and submit ideas, however we will need consent from your parent or legal guardian if we decide to produce your idea. Parents, please do not create accounts for, or submit product ideas on behalf of, children under 13 (we will remove these accounts or ideas without notice). Instead, we suggest encouraging your child to share their LEGO creations on LEGO Life. 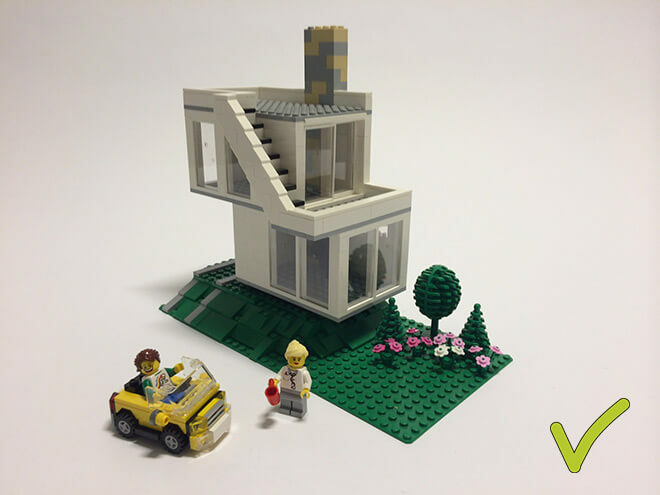 We accept ideas for LEGO construction toys using currently available LEGO bricks. Unfortunately we can’t produce other types of product suggestions, such as computer software, hardware, games (including LEGO Dimensions level packs), websites, apps, books, or non-brick branded items from Product Ideas. We cannot produce new LEGO parts molds, new cloth or other non-brick elements within the scope of LEGO Ideas, and therefore we don’t accept product ideas that include these items. Existing parts in different colors are okay, as well as new stickers or printed parts. Your submissions must be your own work and no one else’s. You must be the original creator of all creative work you submit (the model, images, photographs, description text, etc.) and you must have the exclusive right to submit your model to LEGO Ideas. You agree not to upload images that belong to someone else as a part of your idea, even if that person gives you permission. If you want someone else’s idea to become a reality through LEGO Ideas, please ask them to post it. All product ideas must be submitted on your own behalf and not on behalf of an employer or client. Collaborations between builders are welcome, but please see the instructions for Collaborative Product Ideas below. Posting a product idea on LEGO Ideas does not give you exclusive rights to the “idea” behind it. There are two types of “ideas” submitted to LEGO Ideas: “generic” ideas (that already exist in the world) and “unique” ideas that you conceived entirely yourself. You are free to create Product Ideas that are similar to other Product Ideas as long as all materials you submit are your original work. A “generic idea” already exists in the world, so these ideas can’t be owned by someone. This includes everyday objects like a fire truck, a historical landmark, or a Boeing 737 airplane. It even includes buildings, vehicles, or characters from TV shows, movies, and video games. 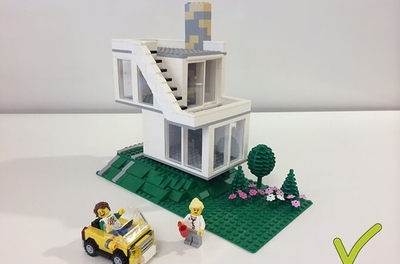 These types of things are fair game for any LEGO Ideas member to produce, so if you submit something like this, others are also free to submit their own versions. The value of a generic idea is not just in your model, it’s also in the concept (the way you present it) and the audience your product idea has in the form of supporters. LEGO Review decisions are unique to each product idea, so if a Product Idea based on a generic idea doesn’t pass a LEGO Review, we’ll still allow similar product ideas on LEGO Ideas in the hope they can be considered in the future. Your ideas may overlap other members’ as long as your submission includes only your own original work. For example, two people can (and often do) submit their own original materials representing the same object, or original designs of the same item from a movie. Your model design and building techniques used, photographs, drawings, description text, etc. must all be your own work. In the event two product ideas with overlapping concepts reach 10,000 supporters in the same review period, the LEGO Review Board will evaluate the ideas separately and make the final decision on which idea to produce. A “unique idea” is something you make up yourself, for example a fictitious vehicle, building, or storyline. If you come up with your own unique creation that is not based on something we consider “generic,” (or based on someone else’s intellectual property), that idea is yours. We won’t allow someone else to submit your idea, or even modify it a little and benefit from your creativity. You can report stolen work or disputes with other members. If someone has directly stolen your creation or original concept and uploaded it as their own, you may report their product idea for plagiarism using the report link on the product idea. You are not allowed, under any circumstances, to harass other people in the comments (see our House Rules). Instead, please report the product idea and moderators will determine if the product idea should be removed or not according to our guidelines. You may also email our support desk at support.ideas@LEGO.com with background information if you feel it is relevant. If you feel you’re being unfairly harassed and accused by others, please use the report link to let moderators know. Product Ideas cannot be edited after they’re posted. After you submit your product idea, it’s locked and can’t be edited. Therefore, we can’t allow ideas that look incomplete, consist of minimal images or text, images that say “images coming soon,” or product ideas that are clearly intended to reserve an idea under the presumption that no one else can submit a similar concept. You may add updates to your product idea to refine or improve the initial concept. Product Ideas can get better with age. Updates add to your original submission, and are shown in the Updates tab. These updates must refine or improve your initial concept, but not change its nature. For example, a truck may not change into an airplane, and a product idea referencing a licensed property may not later remove the license reference. You may collaborate with other builders on your product idea as long as you have secured permission to include their work in your Product Idea and follow these Collaboration Guidelines. 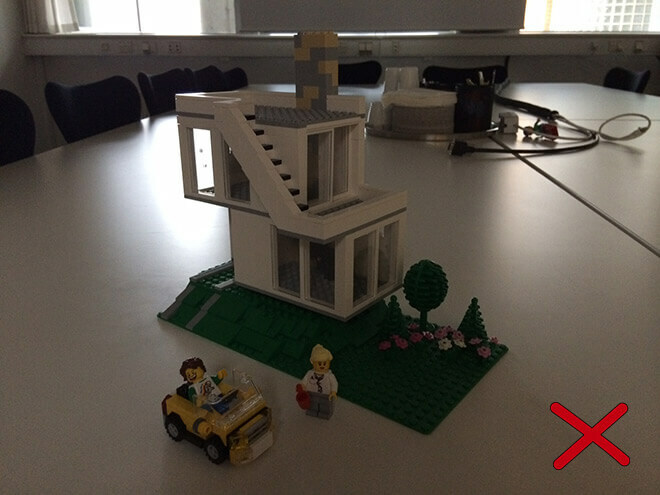 Receive explicit permission from the other LEGO builder to include their original work in your Product Idea. Ensure all collaborators have a LEGO Ideas profile in good standing, and agree to our Terms of Service, Guidelines, and House Rules. Reference all contributors’ LEGO Ideas usernames in your Product Idea, and state their work is included with their explicit permission. If a Product Idea with multiple collaborators passes the LEGO Review and is commercialized, the collaborators may choose for royalty payments to either be paid in full to the Product Idea Creator to distribute among collaborators, or The LEGO Group can divide and pay royalties equally among the Product Idea Creator and their collaborator(s). We strongly recommend all collaborators create a written agreement between each other before beginning collaboration. LEGO Ideas does not arbitrate conflicts between team members. You are responsible for working out any differences yourselves. If you fail to secure permission from another builder to include their original work in your product idea, this is considered plagiarism, and you risk having product idea(s) removed and your account suspended or banned from LEGO Ideas. If a collaborator leaves a product idea, the owner is no longer allowed to use the former collaborator’s work in any way associated with the product idea. We will remove product ideas upon request from former collaborators. Alternatively, if desired, a former collaborator may provide LEGO ideas written permission for the product idea owner to continue and relinquish all claims to it. If your work has been included in someone else’s product idea without permission, please Flag the idea or write us at support.ideas@LEGO.com. You may not transfer your product idea(s), supporters, or your profile to anyone else. Your account and your product idea(s) are yours alone. If you attempt to transfer them to someone else, your account and product idea(s) may be removed without notice. You MAY NOT SELL ANYTHING related to your Product Idea. You may share photos and building instructions free of charge on your own website and online profiles. However you may not sell building instructions, custom kits, or anything related to your product idea. We will remove product ideas without notice if we learn you are commercializing content submitted to LEGO Ideas. You will receive credit and compensation if we commercialize your original work. 1% of the total net sales of the product (this includes product ideas featuring original models based on third-party intellectual property such as a game, TV show, or movie). All payments shall be free and clear of any and all taxes, duties, levies, fees or other charges, except for withholding Danish taxes. For details, refer to the Terms of Service, (iii.) Taxes. 10 complimentary copies of your LEGO Ideas set. Credit and bio in set materials as the LEGO Ideas set creator. If we release follow-up sets independently of LEGO Ideas, you will not be compensated. We do not offer compensation for follow-up products. 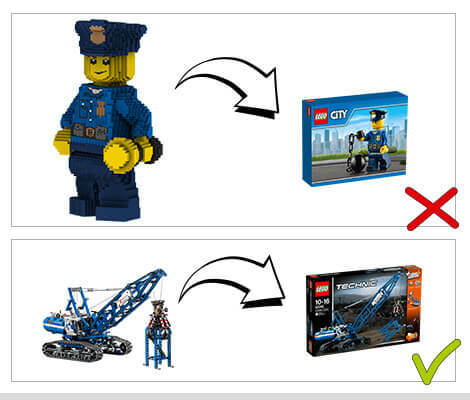 For example, if we decide to produce additional products after yours, based on a license we secure to produce your product idea, or new models in the same genre as your non-licensed idea, you will not be compensated as these products are initiated by the LEGO Group independently of LEGO Ideas. If your Product Idea is not approved in Review, you will receive the following consolation prizes. Up to three LEGO products totaling $500 USD in combined value, subject to availability. There’s a wide range of awesome ideas that would make great LEGO products. However, in order for us to be able to consider your product idea, it must fit with our brand values and guidelines. Remember, not everything that is submitted gets approved, but following these guidelines is the surest recipe to see that your work is approved for LEGO Ideas. Keep your idea’s contents appropriate. Product Ideas related to the topics below do not fit our brand values and will not be approved for publication on LEGO Ideas. Iconic elements of inappropriate third-party properties or IPs are not allowed. Some third-party properties feature iconic characters, buildings, vehicles, or visual styles. 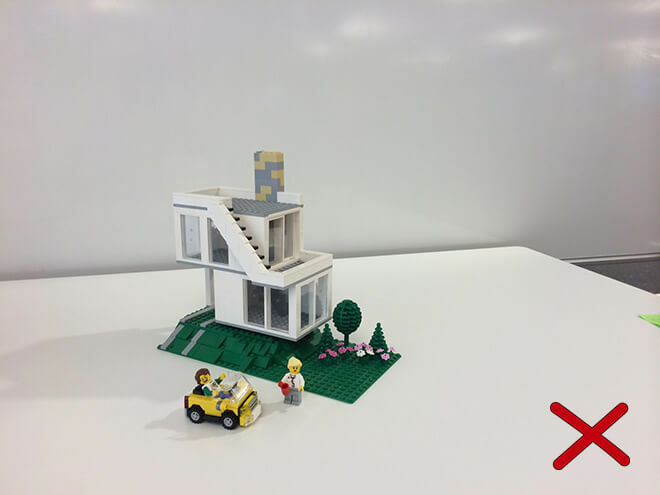 If the LEGO Group deems a property inappropriate for LEGO Ideas, we also may not allow these iconic elements even if all references to the property are removed. Your models may only use existing LEGO parts. We do not allow suggestions for new LEGO parts. Product ideas may only contain genuine (not cut, glued, or modified) LEGO bricks. Proposals for new LEGO parts (of any material), competing brand building bricks, or “aftermarket” elements manufactured and sold by any third party are not allowed. Existing parts in different colors, new stickers, and printed parts are welcome. We don’t accept product ideas that request only LEGO Minifigures, a new LEGO Minifigure series, LEGO Minifigures with accessories, “battle packs,” or “army builders.” We only consider Minifigures as a part of a set that includes a substantial LEGO model. Please only suggest new ideas. No ideas to “bring back” old LEGO sets. Don’t submit product ideas requesting we re-release or “bring back” discontinued LEGO products or themes in their original form, and don’t submit product ideas that are “modifications,” “improvements,” or “expansion sets” to existing or past LEGO sets. If you’re submitting a product idea based on a discontinued LEGO theme or brand (for example Blacktron or Octan), it must be your own new, creative work. Please avoid product ideas based on brands that are licensed by our competitors. We can’t guarantee we can produce your idea if it is based on a competitive toy licensor—this is where all the legal stuff becomes complicated. We do not check all new submissions for license conflicts as there are too many potential conflicts, but product ideas may be removed at any time if legal issues arise. To avoid this, you might want to do your own research for potential conflicts before submitting an idea. We don’t accept submissions that only contain logos, mascots, or flags. Ideas containing a logo or mascot must be in the context of a significant LEGO model; we don’t accept ideas that are solely focused on a logo or mascot. We also don’t accept product ideas that only contain national, state, municipal, or other flags. Please do not run or promote your own contests, promotions, or giveaways in your product ideas. While you may promote as you wish online, we do not allow independent contests and giveaways to be run or promoted on our website for legal and privacy reasons. Product Ideas engaged in the above activities will be removed without notice. No selfies! Don’t submit photos of yourself or other people. We know you’re proud of what you’ve made, but product ideas are about concepts for new LEGO products, so focus on the model and the concept. Don’t post photos of people in your product idea. Please don’t show your hands or other body parts in photos. If you embed a video link in your description, it must also follow these guidelines. 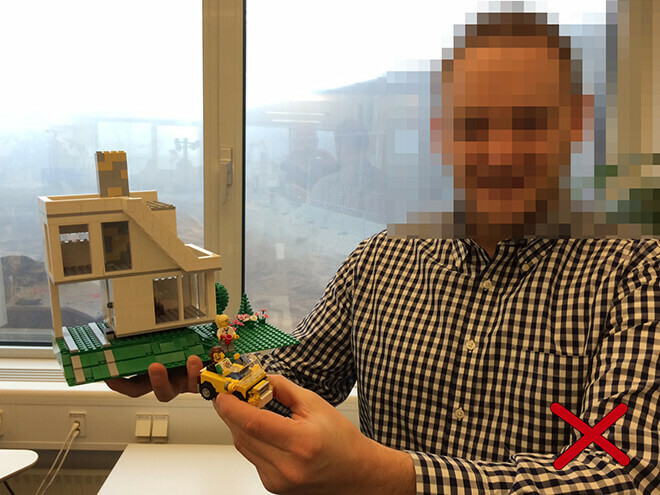 Please don’t use the LEGO logo or any of our logos in your images. 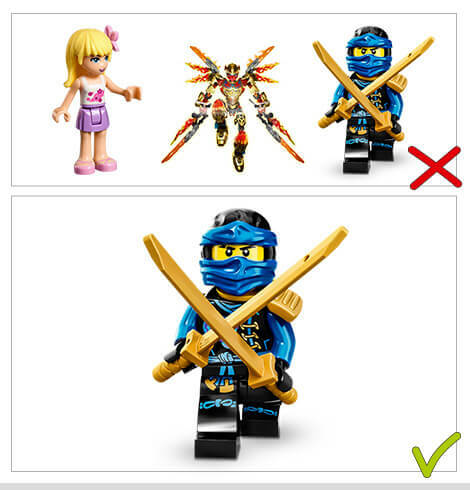 You may not use the LEGO logo, any close approximation of the LEGO logo, or any logo owned by the LEGO Group (for example, the NINJAGO logo, Minifigures logo, etc.) in any way that could imply your product idea is an actual LEGO product or that the LEGO Group endorses your idea. You may not show anything that looks like our logo (including a red square) on your images, custom artwork, etc. You may not mock-up concept LEGO product box art in your images. Doing so means your product idea will not be approved, or will be taken down if you add a logo after your idea has been published. You may include our logo as a part of a model. 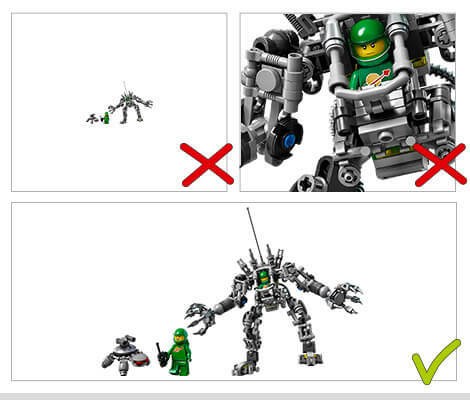 You may not use the LEGO logo in your artwork. You may not pixilate, distort, or modify the LEGO logo in any way. You may not modify the LEGO logo text or display your own design that looks similar to the LEGO logo. You may not display a red box to represent our logo. You may not use other product line logos owned by the LEGO Group, for example LEGO City, LEGO Architecture, or LEGO Friends. The only acceptable use of a LEGO logo (or other logo owned by the LEGO Group) in your product idea is if our logo is on a printed LEGO part or sticker as a part of a model. For example, suggestions to release a LEGO store or LEGO delivery truck may contain LEGO parts showing our logo, or a Classic Space inspired model can contain the Classic Space logo on a Minifigure or brick. Don’t imply your product idea is endorsed by others when it isn’t. You may not submit images, logos, or description text that implies a third-party, for example a license holder, endorses or is affiliated with your idea if in fact they are not involved. You may only use third-party logos in the context of a model, similar to LEGO logo guidelines above. 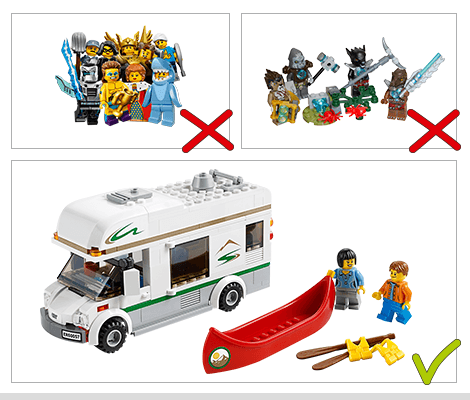 Do not create mockups of LEGO product boxes (“box art”) or marketing materials in your images. Product ideas including box art or anything that attempts to mock up product marketing materials will not be accepted. Mocked-up box art confuses people into thinking your idea is something they can buy right now. If your product idea reaches 10,000 supporters and is approved for production, our designers will create the final packaging designs for the set. You don’t have to be a great artist to submit a product idea, but we ask you follow these quality standards in order for us to accept your submission. Take good photos. We won’t accept product ideas with grainy or blurry photos, or photos with clutter in the background. Photos, renderings, screenshots, and drawings should be clear and well-lit. Your main image must show your whole model and be well-framed. Your photos don’t have to be professional, but most pictures taken with a mobile phone and standard room lighting wouldn’t cut it. When taking photos, we suggest you use a white or neutral background such as a piece of poster board or a sheet. This is one of the most common reasons we return new product ideas to you for revisions. Taking extra time and effort up front will help you avoid the frustration of having to re-submit your work. Photos that are too dark, too bright, blurry, out of focus, or grainy. Photos with a lot of distractions in the background, for example a messy desk or table. Photos are sideways or upside-down. 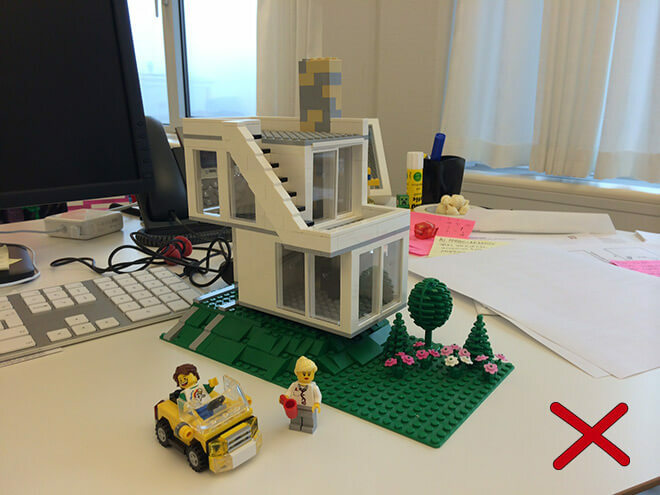 Photos of real-world objects with no associated original LEGO model example. Look at the recent product ideas that have been posted and compare them to yours to see where you can improve. Digital images must not be pixilated, distorted, hard to read, have jagged edges, etc. Edited images (using programs like MS Paint or Adobe Photoshop), computer-generated images, and text on graphics should be clear and easy to read. Steer clear of “hand-drawn” computer artwork from basic drawing programs. 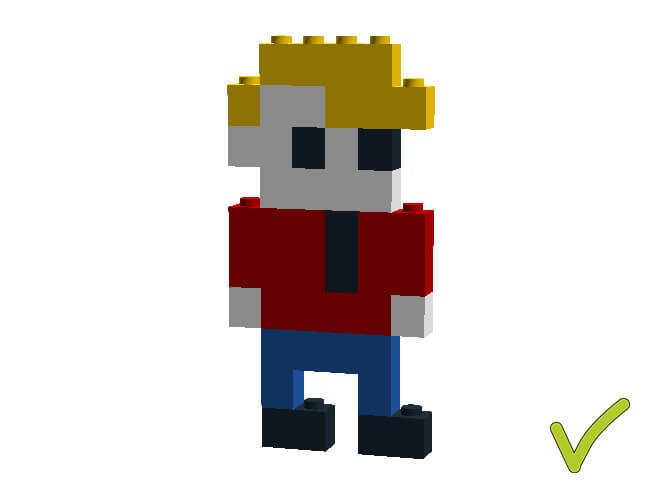 If you don’t have the right LEGO bricks, try using LEGO Digital Designer to build virtually. Please don’t show the baseplate from Build Mode, or a screenshot of the user interface. Either use a white backdrop, or if you’re an advanced user, create a nice quality 3D rendering using the LDD to POV-Ray converter (not created, supported, or endorsed by the LEGO Group). Use proper grammar, capitalization, and punctuation. Your title and description text should be clearly understood and in proper case. Do not use ALL CAPS, all lowercase, MiXEd cAsE, txtspeak, ch4tsp34k, heavy punctuation!!!!!! !, etc. (As you can see, it’s hard to read). In some cases, moderators may make basic grammatical changes on your behalf so we can speed up the approval. We will never change the nature of your idea and we’ll notify you by email if we make any changes. Your title and description text must be written in English so our moderation team can read it, and so your idea reaches the widest audience possible. You may include text in additional languages, but ideas without English titles and an English description text will not be approved. Your artwork must include your own original LEGO model(s). Since LEGO Ideas invites you to submit concepts for future LEGO products, we ask that your artwork include a concept model built with LEGO bricks. The photos, 3D renderings, or drawings of model(s) included in your product idea must be your own original work. You may include your own photos or drawings of real-world objects for reference, as long as your cover image and artwork also contain a brick-built model representing your concept. You may not use images you found online that belong to another person, company, or license holder. Please link to relevant third-party web pages instead of including or embedding them in your product ideas. Write your description as a proposal for a potential LEGO product. 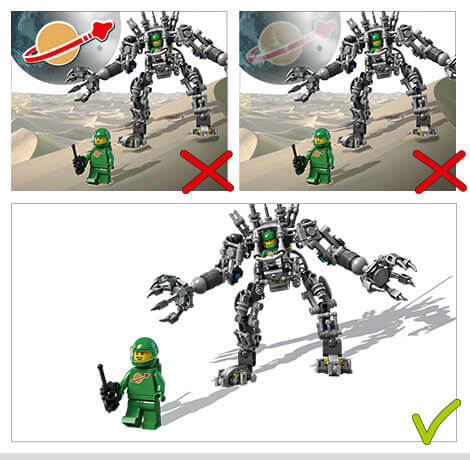 Please make it clear through your images and description that you are recommending your submission as a potential LEGO product. Why you believe it would make a great LEGO set. 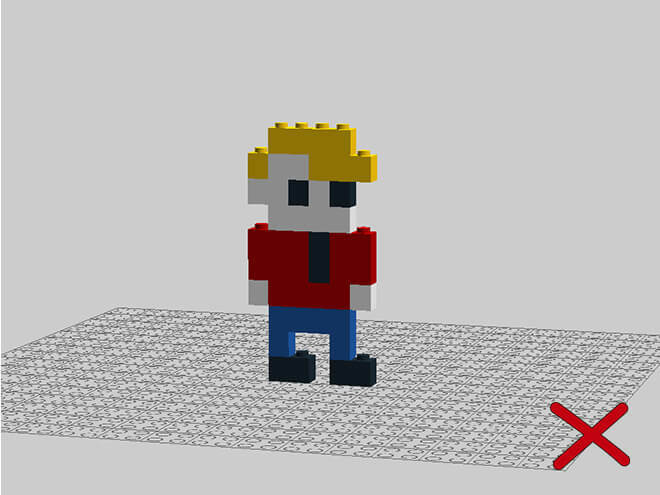 If you’re looking for a gallery to show off your creations, please post to LEGO Life. Your images and tags must match your title and description. What if my Product Idea isn’t approved? The product idea doesn’t meet our basic quality standards. Most of the time, it’s because of your photos or description text. The product idea contains content or refers to a third-party property that doesn’t fit our list of acceptable and appropriate content. The LEGO Group maintains some carefully-developed brand standards that determine the kinds of toys we will and will not produce. Not every idea people want to see produced is a good fit as a LEGO product, or is appropriate as a LEGO set. This page is intended to be a plain-language version of the most important parts of our Terms of Service. As a member, you agree to follow these guidelines and the Terms of Service when participating on our website. We can’t anticipate every possible submission or situation. You agree not to take advantage of ambiguous or undefined Guidelines, exploit loopholes or technicalities, for your own gain or to the detriment of the LEGO Group or any other member. The LEGO Ideas team makes all final decisions regarding interpretation and upholding the Guidelines.